As jazz musicians, we are all on a lifelong journey to constantly improve our technique on our instruments. 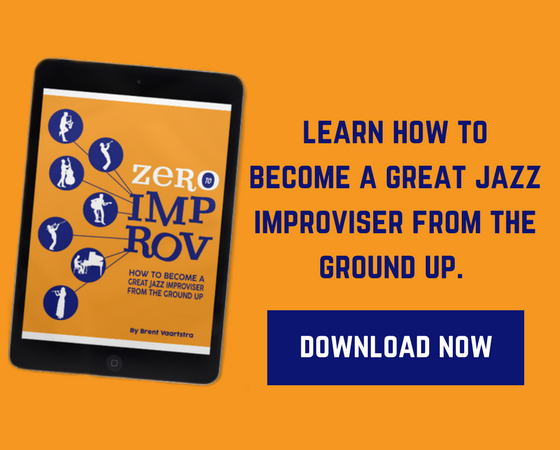 Anyone who has tried to master a bebop tune or improvise at a fast tempo knows firsthand that jazz music is highly virtuosic and technically demanding. 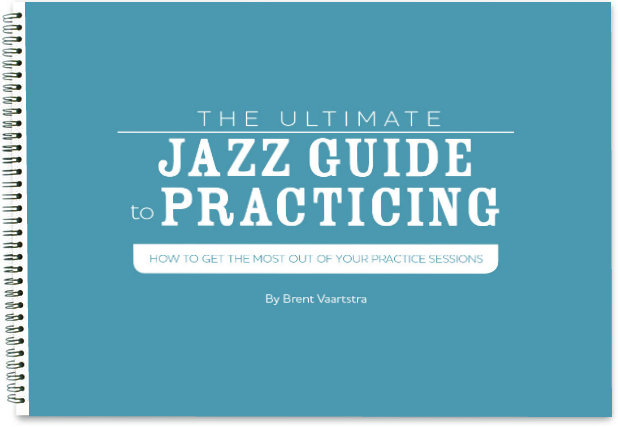 If you’re looking for practice ideas to improve your technique, there are innumerable great resources in books as well as here on LJS, and I encourage everyone to tackle technical exercises from as many diverse sources as possible. However, when time and energy are limited, I recommend prioritizing the technical exercises that are most likely to have direct applications to our jazz playing. A thoughtfully structured practice routine can enable us to simultaneously work on our instrumental technique, our understanding of scale/chord theory, our ears, and our jazz vocabulary. In this post, I’ll talk about just 3 of the most useful technical exercises I’ve explored. I hope you find, as I did, that these exercises not only help us master our instruments but also strengthen our ability to hear and play jazz harmonic structures on our instruments. But first, I want to take a moment here to share my philosophy regarding practicing technical exercises. Strive to practice technical exercises slowly and methodically, gradually increasing the tempo, until you get to the point where you have developed muscle memory. You know you’ve achieved this when you know how a scale, pattern, melody or exercise “feels,” and you don’t have to think about the notes or the fingerings. Being able to execute an exercise on the first attempt at a very fast tempo first thing when you start practicing for the day good sign that you’ve developed muscle memory. This is important because we need to have strong ears in order to improvise with confidence. Having good ears empowers you to play the melodies and chords you hear in your head, to hear any variations or alterations to a melody or chord changes on the fly, to correct any “wrong” notes if you hit a note that doesn’t fit the music (or that you didn’t mean to hit), and to communicate more fluidly with bandmates while improvising. So I encourage everyone to listen actively while practicing technical exercises and really try to hear the relationships of the various melodic intervals at play. With all technical exercises, try singing the exercises very slowly in one or two keys first. You can use a piano to help you if you have access to one. You can play the exercises on a piano or guitar and sing along, or you can play them slowly (in short chunks if necessary) on your instrument and try to sing them back call-and-response style. Singing the exercises first strengthens your understanding of the intervals involved in the exercise. This is important because intervals are the fundamental harmonic and melodic building blocks of music. Also, if you can sing the exercises (and don’t worry if it’s not perfectly in tune), it means you’ve aurally absorbed the sounds of the exercises, which means you can trust your ears to guide you. If you know how each exercise is supposed to sound, your ears can help correct your fingers if you make mistakes while practicing. Even though we’re trying to develop our ears and muscle memory, we shouldn’t “turn our brains off” while practicing even the most seemingly mundane technical exercises. There are many levels to thinking theoretically while practicing. 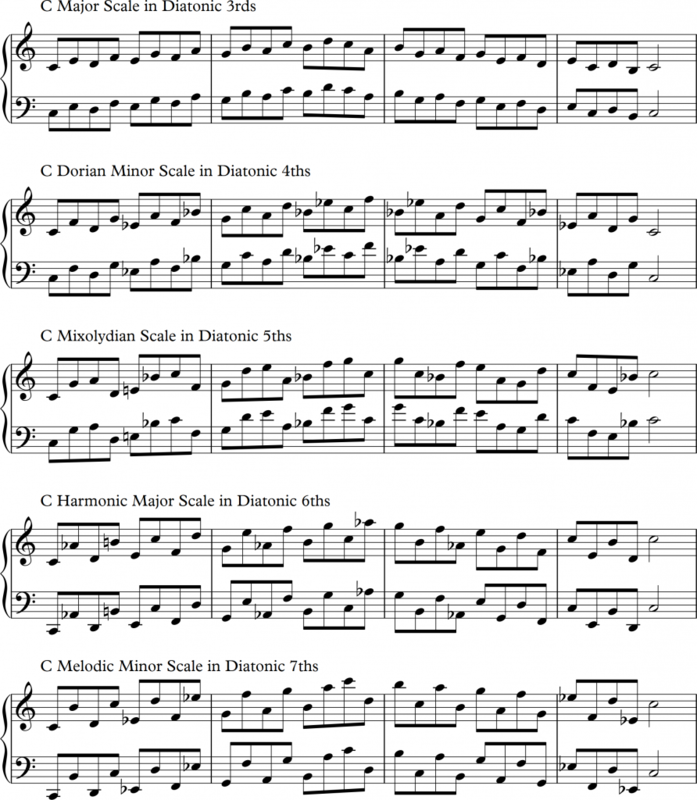 On the most basic level, you can think about the scales/modes/chords you’re practicing as you play them. Think about the pitches by trying to visual their note names or try to visualize them in written notation. Or if this seems too simple, you can try picturing or thinking about the chord that goes with a scale while you’re playing it (or vice versa). At an even higher level, you can try visualizing the same technical exercise in different applied contexts as you’re playing it. For example, I might arpeggiate an E half-diminished 7th chord many times in different inversions and with different rhythms, and with each repetition I try to visualize (and hear) it as if I were playing it over a variety of different chords: E half-diminished, G-13, C9, F#7(b9,b13), etc. (it will sound good over all of the chords). As you’re practicing technical exercises, I recommend switching back and forth between all of these three focuses: fingers (physical), ears (aural), and conceptual (theoretical). Most of us are stronger in some areas than others, so ideally you’ll spend the most time practicing while trying to think in the are you are weakest. 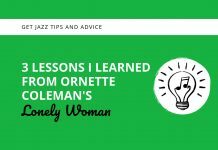 For example, I am confident in my muscle memory and my knowledge of jazz theory, so I engage on those levels while practicing my technique, but I try to spend most of my time trying to improve my ears by really trying to sing and hear the exercises I’m working on. Now that you have an idea of how I like to think about practicing technique, here are 3 exercises that I think really maximize the benefits of practicing technique. Included are brief explanations of why and notated examples. 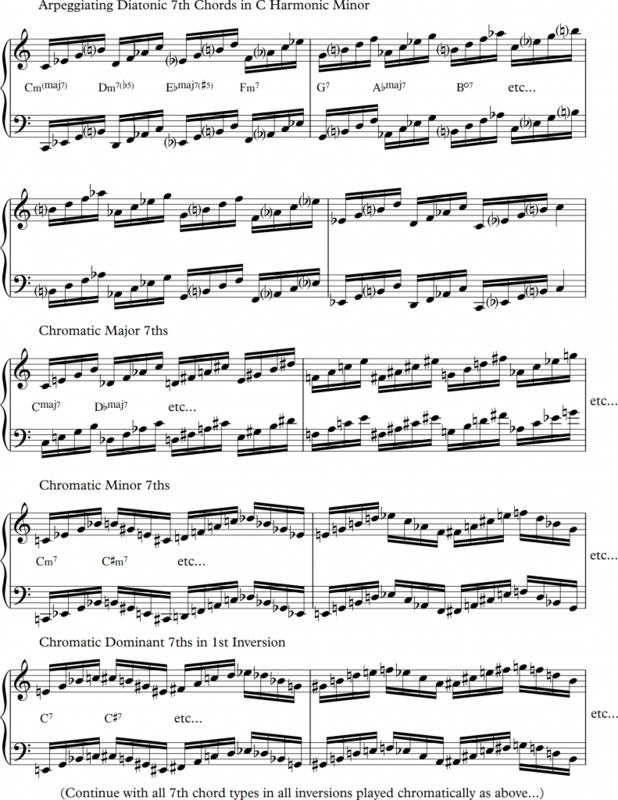 Intervals are the fundamental building blocks of melody and harmony in music. In order to execute melodies you hear in your head or read on a page of sheet music, you need to have technical mastery of as many intervallic combinations as possible on your instrument. Likewise, hearing intervals clearly is the first step toward being able to hear melodies, bass lines, and chords. 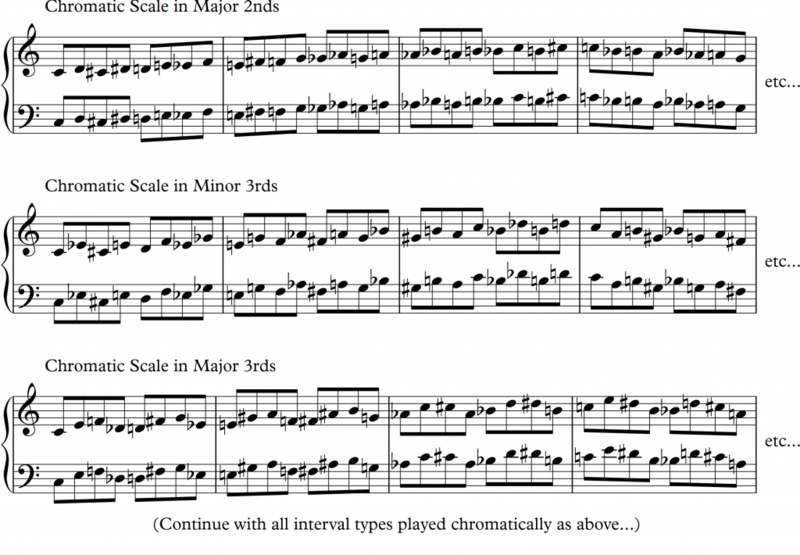 One great way to tackle intervals is by playing scales in intervals. Here’s what I mean (Note: pay attention to how, for the sake of variety, sometimes I alternate the melodic direction of the intervals. Also, I recommend trying all the intervals you can think of in as many inversions as possible for both the diatonic and chromatic patterns – and keep in mind that you can, of course, continue to play these types of melodic patterns over the full range of your instrument whenever possible for maximum benefit). 7th chords are the fundamental building blocks of jazz harmony. Jazz musicians very rarely playing triads by themselves. Most of the harmonic vocabulary of jazz music is based around 7th chords and 7th chord upper structures over different bass notes (which is just another way of thinking about extended chords – chords with 9ths, 11ths, 13ths, etc.). 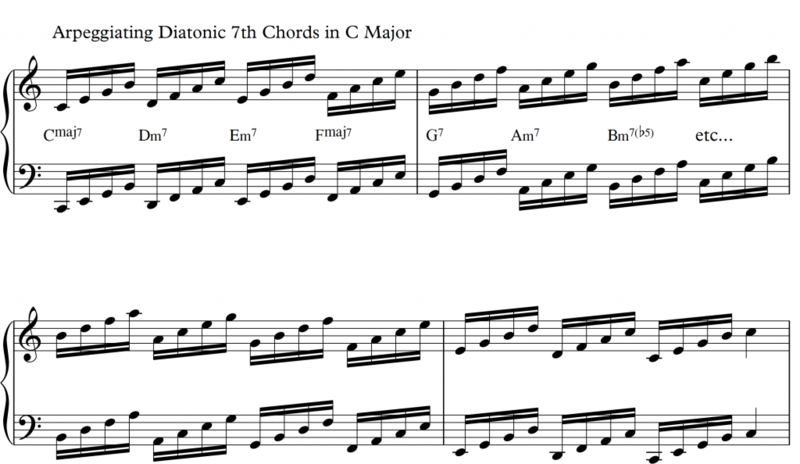 Knowing and being able to hear and play all the diatonic 7th chords in all 12 keys will be really helpful for understanding tonal harmony in jazz. Additionally, practicing 7th chords chromatically helps prepare us for those tricky moments of chromaticism which pop up frequently in jazz chord progressions. 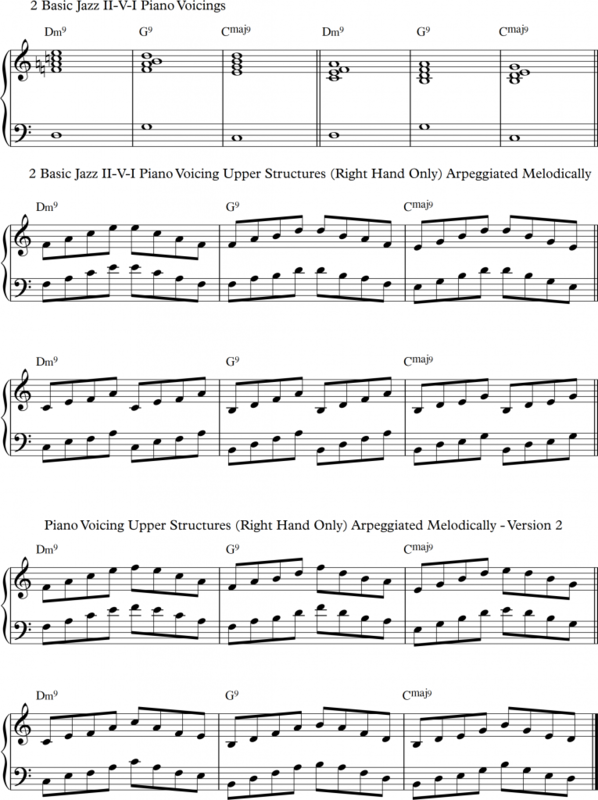 Finally, arpeggiating 7th chords also gives you a good foundation of melodic vocabulary you can use while improvising since one of the surest ways to “nail the changes” is to artfully arpeggiate chord tones with interesting rhythms. Here are some examples of the exercises. Building on the concept of outlining chords discussed in the examples above, I also find it incredibly useful to arpeggiate the upper structures (i.e. the right-hand part) of standard jazz II-V-I piano voicings on my instrument in at least the 2 basic inversions. 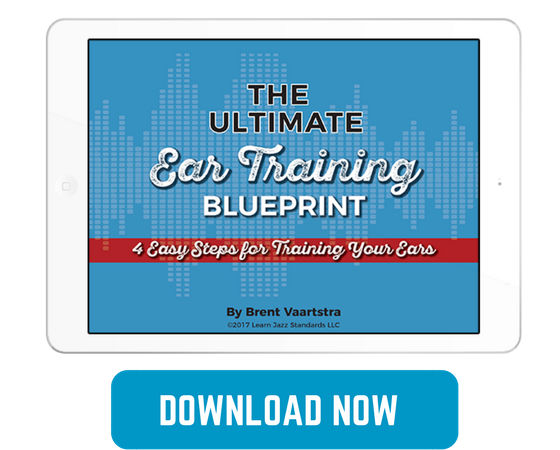 It can help train our fingers, ears, and brains to voice lead more clearly and to really nail chord tones. Here’s what I mean notated. Although these are of course not the only approaches to practicing technique, these exercises have greatly helped me grow technically as a player, and I hope you find these concepts and exercises beneficial for your practice routine!